PS: Pdf file of this page is available for download. Find the link at the end, Inshaaallah. All praise is due to Allah alone, we praise Him, we seek His help, and we ask for His forgiveness. We seek refuge in Allah from the evils of ourselves, and from the evil consequences of our deeds. He to whom Allah guides, there is none who can lead him astray, and he to whom Allah leads astray, there is none who can guide him. I testify that there is none worthy of worship and true obedience except Allah alone, and I testify that Muhammad, sal-lal-laahu-alaihi-wa-sallam, is His Servant and Messenger. It is really a grace of Allah that many students, especially those living in gulf states, due to proximity of place, do get ample opportunities now a days to go for Umrah. As those intending to go on ‘Umrah need specific guidance on the subject, I thought of adding this page so that authentic and relevant information is provided especially to the student community. May Allah accept the effort and reward us according to the best of our deeds. Aameen. ‘Umrah means paying a visit to Ka’bah, performing Tawaaf around Ka’bah, Sa’y, shaving one’s head hair or cutting them short. ‘Umrah is generally translated as ‘lesser pilgrimage’ as compared to Hajj which is indeed the greater pilgrimage. First and foremost thing in ‘Umrah, as in other ibaadah, is sincerity and purity of motive. Pleasing Allah alone must be the motive. May Allah save us from the ‘disease’ of showing off. Aameen. Ka’bah – Ka’bah is Baitullaah, the House of Allah, which is a cube-shaped structure in Al Masjid al Haram, Makkah, towards which all Muslims the world over face in Salat (prayer) and around which Muslims do their Tawaaf. Tawaaf – Going round the Ka’bah in anti-clockwise direction. Each Tawaaf comprises of seven rounds. Al Hajar al Aswad – This is the Black Stone fixed in one corner of Ka’bah. It is the starting as well as the finishing point of one round of Tawaaf. Ihraam: Two sheets of unstitched clothes comprising of a Rida (upper body cover) and a Izar (lower body cover) with no underwear. It is preferably a white cloth. This is for men. For women, Ihraam is their normal dress. As Safa and al Marwah – The two hills in al Masjid al Haram, Makkah. Sa’y – Pronounced as sa’ee, it is to walk seven times between As-Safa and Al Marwah in Al Masjid al Haram, Makkah during the performance of Hajj and Umrah. Zam Zam Water – The cool, refreshing water from the sacred well inside the grand Mosque (Al Haram) in Makkah. Takbeer – Saying Allahu Akbar, Allah is Great. “Here I am O Allah, (in response to Your call) here I am. Here I am, You have no partner, here I am. Verily all praise, grace and sovereignty belong to You. You have no partner whatsoever”. Meeqat – The Fixed Places on way to Makkah from where Ihraam clothes are put on and the Niyyah is made. Please note that the sacrifice of an animal is not a part of ‘Umrah and hence not necessary. Before putting on Ihraam clothes, take bath, apply perfume and pray two Nafl Rak’ah. These things are encouraged but not compulsory. Applying perfume after putting on Ihraam becomes a mistake and is therefore not allowed. As explained earlier, abaya or normal dress is the Ihraam for girl/woman. “O Allah I hear Your call and I am coming for ‘Umrah”. NOTE: You can put on Ihraam clothes before Meeqat that is from your home but you should declare your intentions to perform Umrah only at the Meeqat. In case, you are in aircraft you need not worry as the Airlines do announce the approach of the Meeqat point, and once the crew announces, you must make your intention. You should have wudhu (ablution) if you are not having already, before entering the Haram or the Grand Mosque. You should stop reciting the Talbiyah when starting to make the Tawaaf of Ka’bah. Before the start of Tawaaf, a male pilgrim should uncover his right shoulder by putting middle of his Rida (upper body cover) under his right arm-pit and casting its edge over his left shoulder. Tawaaf starts by kissing the black stone. If one cannot kiss it, he may touch it with his right hand and kiss his hand or due to rush of people, he may simply raise his hand and wave towards the Black Stone while standing at a distance from it saying the “Bismillaahi Allaahu Akbar”. Each round will end at the point of start, which is at the Black Stone. Yet, if it is not possible to do so, you can point to it and say ‘Allahu Akbar’ (Allah is Great) but you should not kiss that with which you point to it. In the first three rounds of Ka’bah, walk at fast pace (Ramal) In the remaining four rounds, walk at normal pace. It is sunnah to kiss the black stone and touch the Yemeni corner in every round during Tawaaf. NOTE: You should not kiss the Yemeni corner or rub your hands or wipe your face, as it was not the practice of Prophet sal-lal-laahu-alaihi-wa-sallam and his companions. If you cannot touch the Yemeni corner due to to crowd, you should not wave at it. While making Tawaaf of Ka’bah, you may praise Allah and make lots of du’aa, supplications, to Allah in any language and words you like. Some books describe du’aa for every round of Tawaaf. The Prophet did not specify any du’aa (supplication) during the Tawaaf. NOTE: During Tawaaf if you are in doubt about the number of rounds completed, say for example 3 or 4, you should choose the lowest number, that is 3, that you are sure and complete the seven rounds. After completion of Tawaaf, you should pray 2 Rak’ah behind Maqam Ibraheem, if it is possible, otherwise you can pray at any place within the Sacred Mosque. 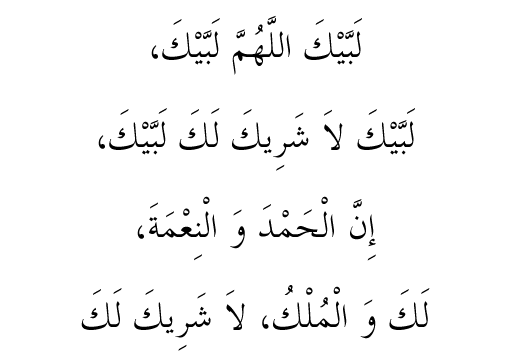 It is preferred to recite Surah Al Kafiroon in the first Rak’ah and Surah al Ikhlaas in the second Rak’ah. Drink Zam Zam water. After drinking Zam Zam water, make du’aa to Allah as according to authentic hadeeths, du’aa after Zam Zam is likely to be answered by Allah. Then proceed to As Safa to do Sa’y by walking seven times between As Safa and Al Marwah. “There is none worthy of worship and obedience except Allah alone, the One, He has no partner. His is the sovereignty to Him praise is due, and He has power over all things. There is none worthy of worship and obedience except Allah alone, the One, Who fulfilled His promise and confirmed the truthfulness of His slave and defeated the opponents Himself”. Before descending from Mount Safa, you can make any du’aa. Now you come down from As-Safa and start walking towards al Marwah. While going to Al Marwah, you will come across two green pillars with green lights. Between these pillars, men should run or walk fast, but walk at normal pace before and after the green lights. NOTE: Old men, sick people, women can walk at normal pace even between these green lights. After Sa’y, that is, when you finish seven rounds at Al Marwah, end your Umrah by shaving your head or trimming the hair. NOTE; Cutting of hair for men should be all around. Women should cut 1-2 cm of hair only and hair should be cut at the lower end taking care not to expose the hair in front of men. After Umrah, a person can take off his Ihraam and put on normal dress. All the prohibitions related to Ihraam are lifted now. NOTE: If you want to do Tawaaf again, then you can do so in your normal dress. Those wanting to do ‘Umrah again in the same visit, please read this. For some more explanation on the rites of ‘Umrah visit this fatwa site, Inshaa’Allah. May Allah accept our ‘Umrah, our Tawaaf, our Sa’y, our salah, our du’aa and forgive us of as our sins, grant us the good of this world and the good of the Hereafter and save us from the torment of Hell fire. Aameen. Download UMRAH GUIDE as pdf, Inshaaallah. Jazakallaahu Khayra for this useful information. May Allah forgive your sins and grant you the highest place in Jannah. Very useful as i am planning to perform umrah inn sha allah before this month end or by next month. may Allah accept all your prayers and open the doors of jannah for you and your loved ones. thank you and Baarakallaahu feekum.